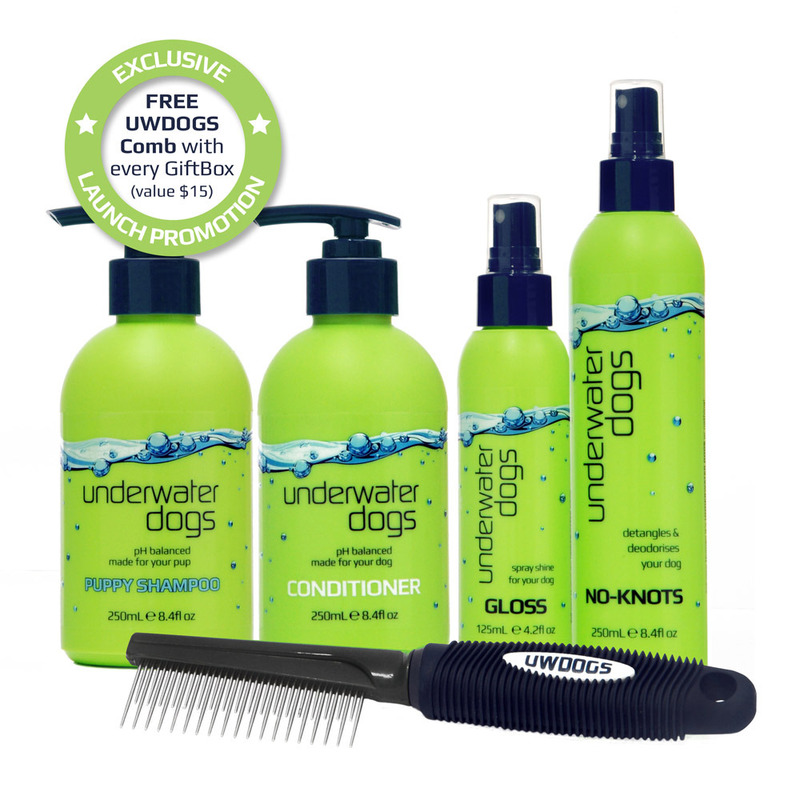 UWDOGS have developed a range of superior, professionally formulated, soap-free and pH balanced Shampoos and Conditioners for discerning canines. With Christmas just around the corner, they have put together irresistible gift packs for your furry friends at very special prices! The UNDERWATER DOGS 250mL Puppy GiftBox will score points with everybody. Professionally formulated haircare for puppies, mild and soap-free and containing unique blends of pH balanced ingredients adding softness and shine to their coat. As part of this exclusive promotion, each customer will receive a Free UWDOGS Comb with every GiftBox purchase (value $15). Underwater Dogs Conditioner creates protective barriers that retain moisture, conditioning and revitalising your dog’s coat. If your pooch has a more difficult coat, the Underwater Dogs No-Knots reconditions making combing or brushing a breeze. Underwater Dogs Gloss is a silicone based shine which feels like silk and gives long-lasting protection to your dog’s coat. This complete range will leave your pooch smelling like summer and sporting a soft and shiny coat, sure to impress your visitors during the holidays. 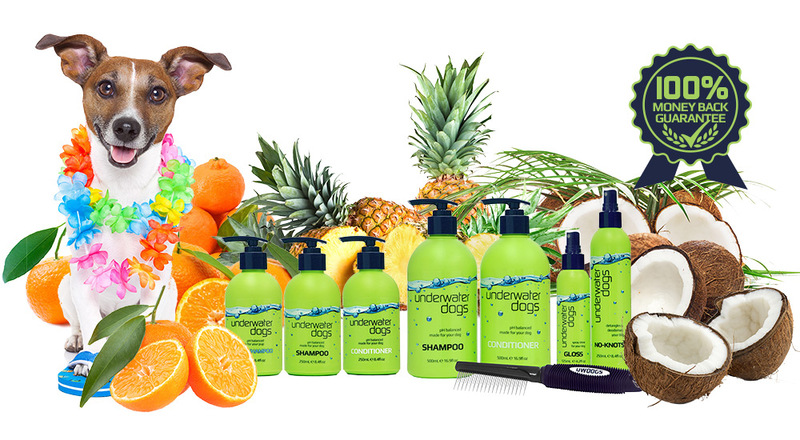 UWDOGS is a new Australian business defining itself as a Haircare Company with a Canine Conscience.